Is SEO lost on you? Have you been told that SEO is dead and something you don’t need to do anymore? Switching off when the know it all at the office starts rabbiting on about how this, that, and the blarrrrrrr is now so important? Yeah me too. It can be tricky to appear interested when you realise it’s all a bit straight forward if you look at it like THIS…. SEO stands for Search Engine Optimisation. Meaning…if your website is “optimised” then the “search engine” (i.e. Google, Bing, Yahoo) will find your website easier and list those search results for web surfers. The idea goes something like this… Person types in a string of words e.g. “What the hell is SEO?” Your optimised website is scanned by the search engines algorithm and HELLO! Up comes your website and consumers start pouring in! Googles current algorithm isn’t new anymore and most companies worth their weight have jumped on board with it, realising that their marketing money is better spent on good quality writers with a portion used to get that great optimised content out into the world i.e. socials, and get those potential customers back to the website to read more. SEO optimisation “experts” aren’t always the bee’s knees they make out to be either. And some can even hinder your search results by spamming up your great content with too many keywords. That’s a paddling! Go to the back of the search results! Some of these “experts” are worse and go as far as creating heaps of fake profiles to like, comment, subscribe and essentially trick people into thinking your products or you are popular. Google has hit hard on that folly too. So, just don’t go there. SEO optimisation “experts” aren’t always the bee’s knees they make out to be either. And some can even hinder your search results by spamming up your great content with too many keywords. 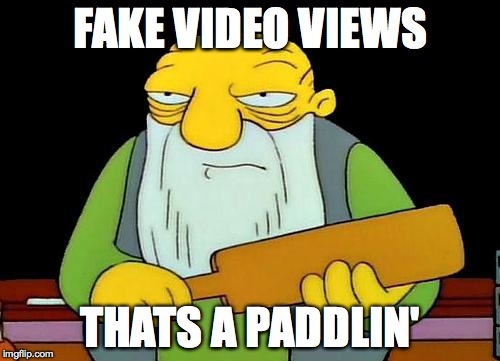 10,000 fake embedded youtube video views, with random commentary, from a Russian website is going to be picked up. Don’t think you’re smarter than the algorithm. And don’t be dumb enough to fall for SEO companies that promise these type of quick gains. They are on par with get rich quick shams. Steady consistent hard work, producing good quality, relevant content is what’s getting rewarded. Don’t be the dummy that falls for penalising SEO scams. Facebook has an algorithm yeah? Facebook also rolled out its updated algorithm over the last few months to all billions of its pages (insert eye roll here.) Making the focus on quality highly ranking content, rather than all the spammy posts and Meme culture spewed out day after day. Trying to shake its gamey, childish, “anti social” persona, Facebook is trying to mature its delivery, and ditch its identity as a time waster, into something more resembling an online newspaper. So, there you have it. The good old sales funnel goes digital isn’t as complex as some people like to make it out to be so they look all special, important, and clever. X…Y…Z… connect the dots one step at a time and you’ll be sucking them into the void (sorry…funnel) soon enough. 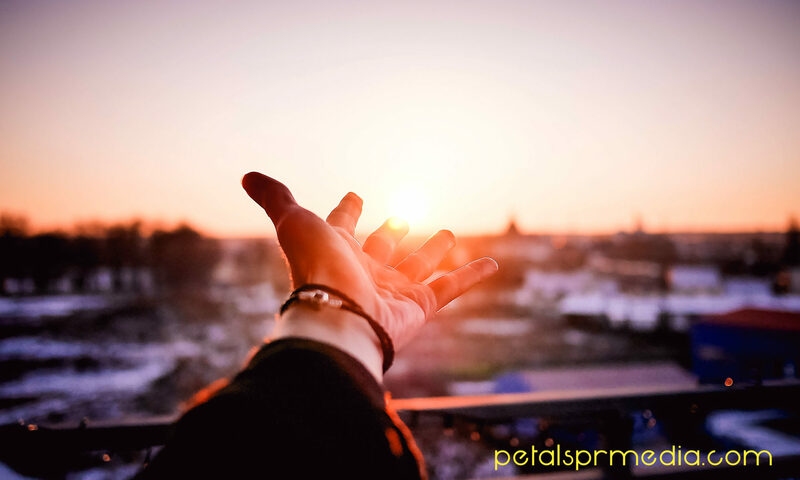 Petals PR Tip: Hire a great content writer or perhaps a great quality writer (who’s in touch with the real world of your target audience) who is willing to watch over and guide some emerging writers, who don’t cost as much, but as a team can deliver. Don’t make the mistake of thinking you are a good quality writer who is going to look after these fledglings. You have enough on your plate running a successful business. The smart thing to do is get someone smarter than you in the content writing/SEO area, who knows their business, and can elaborate how great YOURS is to your target audience. Personally, I believe the cost works out the same when you take into account all the double handling and potential inexperience headaches of good writers managing emerging ones. But if you find a gem writer who doesn’t need constant direction, appreciates the occasional pat on the back, and is touch with your market, secure them! They are worth their weight in gold. Literally if that’s what your market is. Need a great writer on your team? Send us an email or phone for a chat and we’ll see who we can team you up with. Previous PostPrevious Are you looking for engaging media content?